Think of all the great Italian bike brands and their heritage goes back many generations: Bianchi started at the end of the 19th century, Wilier in 1906, Cinelli in 1948 and Colnago in 1952. Passoni only began manufacturing frames in 1989, but its name, amongst those in the know, is spoken in hushed reverent tones, along with tales and rumours of how the likes of Pantani, Chiappucci, Bugno and many others of the late 80’s and early 90’s were in fact winning Alpine stages of Grand Tours on disguised titanium Passonis some 2kg lighter than the steel bikes of their counterparts. So why is it that the most discerning of all road cycling enthusiasts, including ex-professionals who have been riding the best bikes available to humanity for up to 10 hours a day for the duration of their careers, have their hearts set on a titanium Passoni, a brand that has only been in existence for some 30 years? Clearly their rarity value has something to do with it: only about 500 frames are produced from the Atelier in Milan each year. These are anything but off-the-peg, with every one uniquely tailor-made to each customer’s measurements and a 12 week delivery time from the order being placed. And their desirability as objects cannot be disputed. Pictures on a website do not do them justice. Seeing one in real life reveals its full astonishing, jaw-dropping beauty. But why is this bike better than any other, and what drives men and women to part with the best part of €12,000 for the complete fit? We went to meet their owner, Matteo Cassina to find out why. Matteo is an interesting character, as he found himself owning and running this bespoke bike manufacturer by accident rather than design. An Italian brought up on the shores of Lake Como, he had an idyllic upbringing with his brother, sister, various uncles and cousins who would spend their summers cycling up the Passo dello Spluga using an apartment in Madesimo as a base. It was at this early age that he developed his love for the bicycle, not just for cycling, but the beauty of the bike itself. His family would tease him as he spent his days dismantling and reassembling old bikes, fascinated by the mechanical workings and the magic of it all. In the same way that some of us proclaim that one day we will be a fireman, Matteo's childhood ambition was that, "One day I will build bicycles." Years later, in 1991, and now as a young man and part of the Italian Rowing Team, he was on a training ride up to St Moritz when he coincidentally crossed paths with one of his uncles whose bike was different and unique among all the steel frames that he had seen before. It was a shining titanium beauty: a Passoni. Matteo recalls, "I truly fell in love with Passoni on that day when I rode up to San Moritz." And it stayed filed back in the recesses of his memory for many years. This was the bike to have above all others. And so, in the way that happens in many of our lives, Matteo moved on from his childhood environment, seeking opportunities and a career beyond the Italian Alps. Buenos Aires, Paris, Frankfurt and beyond beckoned as he forged a career in finance and banking. But the love of the bike remained, and the aching desire to have that one particular bike, a Passoni above all others, nagged away at him. Then as his 40th birthday approached, his wife, Véronique, was struggling to find the perfect present for him and, "when she asked I said I would love to have a Ti custom bike from Passoni." With Véronique's blessing he set off to the Passoni Atelier outside of Milan to get measured up. Exactly what happened next is in Matteo's own words, "like a fairy tale." Somewhere between making the decision to buy a high end bike that he had always desired and leaving the Atelier, a slightly different purchase to the original one had been made. Not only did he come away with the custom built frame of his dreams, he also bought a large share of the company, eventually becoming a majority owner. Matteo insists that this had never been his intention, so perhaps we should just call this fate, that it was just meant to be and always had been. The cycling world, and especially the Italian cycling world, is full of romantic stories and the birth of the Passoni brand is no exception. It all started when a successful electrical engineer, with his own company called Passoni & Villa, went out for a weekend bike ride as is the habit of many an Italian in his leisure time. Luciano Passoni was heading for the Madonna del Ghisallo, which contains a small cycling museum, and on his ride, rather like the young Matteo who admired his uncle’s bike, Luciano spotted a frame branded Trecia, the likes of which he had never seen. Catching up with its rider, Luciano discovered that this was a titanium bike, hand built by its owner, one Amelio Riva. Amelio was an engineer working in the aeronautics and motorsports industry who designed and built bike frames in his spare time. After some persuasion he agreed to build a similar frame for Luciano which, on its completion, he was so happy with that he asked for a second one to be made. What he really wanted to do was go into the bike building business with Riva, but to Luciano’s disappointment, frame building was to remain a mere hobby for the engineer and he wasn’t interested in going into partnership. Determined not to be thwarted, Passoni sent his son, Luca, to learn about the principles of frame design and development. And so the dream of a boutique frame building business under the Passoni name was born. By the time Matteo took over the company in 2011, Luca had died tragically, and the day to day business of Passoni was being overseen by his wife, Silvia Passoni, who had never even ridden a bike in her life. She was determined for the name of her late husband to survive and to be associated with the most precious bikes available but the big brands churning out mass produced carbon frames from factories in the Far East were making it difficult for small, Italian based, bespoke manufacturers to find a place in the market. Matteo realised that what made the brand unique was its attention to detail and uncompromising commitment to using the very highest quality parts (even a brake cable costs up to £100). Most importantly, the hand crafted titanium frames, each one individually polished for over 30 hours and put together by craftsmen with decades of experience, gave them an edge over the anonymous carbon of the mainstream brands. Finding himself on gardening leave in between jobs, Matteo and his young family travelled the world to all of Passoni’s dealerships, ensuring that they understood the special nature of this beautiful product. Matteo’s tweaks and business acumen mean that, while not reaping the huge profits of the big brands, Passoni is now in a much healthier financial position with an exciting future, including plans to expand its production, although not going beyond 1000 frames a year, thus retaining its exclusivity. It seems that Silvia had placed her trust in the right person. As Matteo says, "It's very important for Silvia to keep the company going - intact in its mission and spirit and carrying the name of Valentina's father whose passion was second to none and created something we are really proud of." 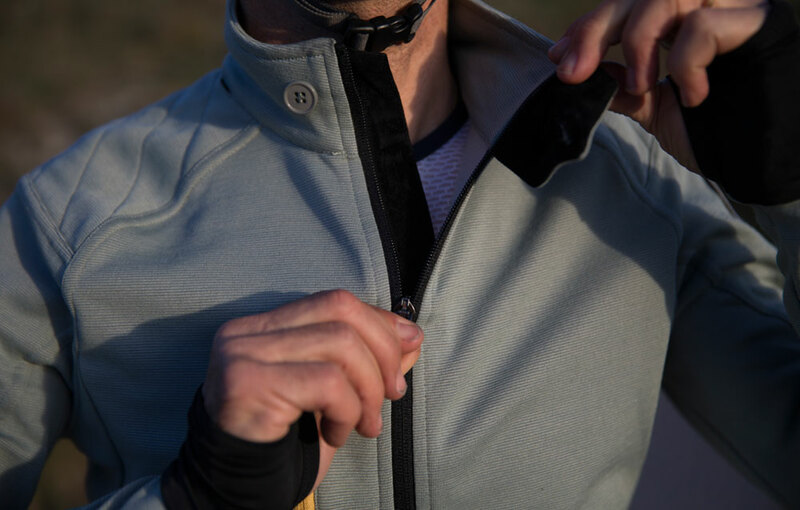 They have also expanded their operation to include some quality apparel in partnership with Café du Cycliste, as well as wheels, shoes and a turbo trainer that would grace the rooms of an art gallery. All this contributes to the overall mystique and desire factor. Most importantly, it has not compromised on the founding principles of Lucianno Passoni to create the highest quality frames available in the world and handmade in its state-of-the-art, Milan-based Atelier. Now that the business is up and running successfully, Matteo is able to combine his ownership of Passoni with a demanding job for a top bank based in London. Given his passion for cycling, it comes as no surprise that his employers are Saxo Bank, sponsors of Tinkoff-Saxo with its star riders including World Champion, Peter Sagan and team leader, Alberto Contador. All this gives him unparalleled access to the greatest cycling events on offer in the world and their top riders, many of whom have become personal friends. It also gives him the opportunity to conduct business meetings with some of the most influential financiers from Malaysia to the US on, of course, a Passoni road bike, which travels with him wherever he goes. We wondered, given that Matteo has had the chance to ride his bike all over the planet, what is his favourite ride? The answer is obvious really: the same 30.2 km climb of Passo dello Spluga that inspired a love of bikes and riding from those childhood experiences with his father, uncles and cousins. So the next time you hanker after Chris Froome’s Pinarello or Contador’s Specialized, just remember that the likelihood is that, when they approach retirement, the bike that they will probably be planning on using for leisurely rides out of Monaco, Nice or Girona, won’t be a mass-produced lump of carbon from a factory in the Far East, but a beautiful, hand-crafted work of art: a Passoni.